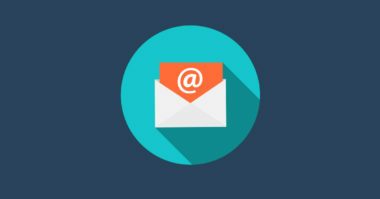 Since research from TOPO shows that less than 24% of prospects actually respond to promotional emails, sales reps must open their eyes to the problem of why their emails are being ignored and then open their minds to ways to improve their email response rate. With sales reps depending on email more than ever, they can’t afford to ignore why prospects are overlooking their emails. Fortunately, a recent study by Boomerang disclosed why some emails earn responses while others are tossed in the trash. Hubspot.com shared these findings to help lead sales reps toward higher email response rates. 1. Some Emotion is Effective: The study showed that expressing a moderate amount of positivity or negativity led to 10% to 15% more responses than totally neutral emails. But extreme emotional expressions led to the same reduced responses seen with neutral emails. 2. Emails with 50 to 125 Words Had 50% Response Rates: Longer is not stronger and less isn’t always best when it comes to the wording of emails. Apparently, the optimal email length is between 50 and 125 words, since these emails were opened by an impressive 50% of recipients. While shorter is clearly sweeter, realize that being too brief is bad. Emails with ten words or fewer only got a response 36% of the time. 3. Emails Written at a Third-Grade Reading Level Were at the Head of the Class: Interestingly, emails written at this elementary level scored a 36% higher open rate than emails written at a college reading level. Yet college-level correspondence still performed 17% better than emails written at a high school reading level. In addition, casual, relaxed emails are best for invoking a response. 4. Ask a Question to Get a Response: It’s considered a best practice to pose a question in each and every sales email to get a response, but few salespeople know just how many questions to ask. The study showed that recipients were 50% more likely to respond to an email with one to three questions than to an email without any questions. Clearly, it doesn’t hurt to ask when it comes to getting an email response and ultimately a higher email open rate. Be open to new ideas in email marketing. Contact MDG Advertising.